As Kane has pointed out, Arizona's new immigration bill has created a huge stir throughout the country, and with good reason. The Latino community is rightfully outraged, and their frustration will no doubt manifest in the November elections, either in a surge in votes for Democrats, or a deliberate abstention from voting as a punishment for the Democrats they've elected who have not come through on federal immigration reform. Harry Reid, whose home state of Nevada is almost a quarter Hispanic, has acknowledged this reality, and has made it a priority to pass immigration reform before November, when many polls project he is likely to be ousted from his Senate seat. On a slightly unrelated note (but a now extremely related note), the climate bill created by Senators Kerry, Graham, and Lieberman that was supposed to be unveiled on Monday has been delayed once again, after six months of delay. Why? Because Lindsey Graham, the only GOP Senator who seems willing to work with Democrats on either climate legislation or immigration reform, has asserted that he is unwilling to do both, and will kill climate legislation if Democrats attempt to tackle immigration first. Graham and Reid have been trading jabs over the last week, Reid trying to salvage his Senate seat and Graham trying to ward off the endless barrage of criticism emanating from the conservative Republican base in his home state of South Carolina, who are furious that he's working with Democrats and trying to establish a carbon mitigation scheme to help save the planet. Politics is a messy game, and right now Senator Graham has the upper hand, as the arcane and repeatedly-abused rules of the Senate have made even legislation supported by 59% of the chamber impossible to pass. Graham is crucial to the passage of climate legislation (however watered down and industry-pandering the bill will end up being), and has made his ultimatum. Reid has tried to call his bluff, but doesn't seem to have the leverage to get his way. Even Speaker Pelosi has expressed her support for immigration reform over climate change legislation. But the problem is, there is currently no immigration bill. There is a climate bill that has been in the works since October, has undergone change after change and negotiation after negotiation and finally enjoys bipartisan support. Unless the rules of the Senate are changed, there will not be an opportunity for climate legislation in the foreseeable future, a future that will be tarnished by our country's unwillingness to act to try to prevent the worst consequences of a global disaster. Don't get me wrong, immigration reform is extremely important. 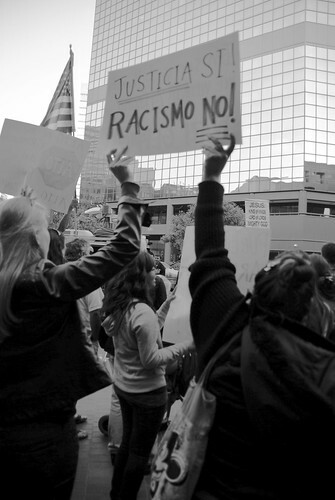 Arizona has exhibited how our country is moving down the wrong path, one that is motivated largely by racism and xenophobia. But if we have to prioritize, as Senator Graham seems to be forcing us to do, immigration reform must wait. Climate change is predicted to create millions upon millions of refugees worldwide, a potential political, social, and economic catastrophe that would completely overshadow the problems that the we in the US (and more importantly, the immigrants here) face. The issue of climate change has far more consequences and devastating impacts associated with it that have thus far not registered in the American conscience. We need a climate bill now before it's too late, even if it means leaving another important issue unaddressed for now.